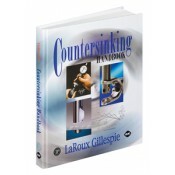 This unique handbook provides total coverage of issues related to countersinking and chamfering holes, including history of their use, design reasons, and basic cutter design. It features “how-to-use” details of the most used tools and techniques and complete information on the subject of countersinking holes of any size, including those over 10 inches in diameter. Its detailed approach to illustrating over 100 different tools designs is unparalleled in technical literature and is sure to be found useful by manufacturing engineers, shop foremen, and experienced users. • Provides discussions of all cutter material variations and options, feeds, speeds and coolants, tool holders, and applications--including plastics, metals, wood, composites, ceramics, glass, and dental materials. • Discusses side effects of countersinking, including stress risers. • Includes optimum applications for specific tool use, gaging countersinks, economics, pressworking countersinks, non-traditional countersinking methods, and references to standards and other published works. • Contains case histories, practical tips, and information to make process selection easier.